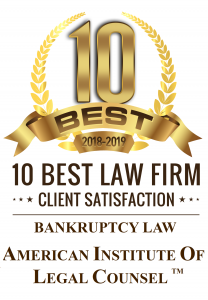 Many people searching for a bankruptcy lawyer will ask themselves “how do I find the right one?” If you are searching for a bankruptcy lawyer you have probably asked yourself this very question. Finding the right bankruptcy lawyer, and avoiding bad bankruptcy lawyers, requires screening attorneys. However, before you can screen Sacramento bankruptcy attorneys and weed out the mediocre ones, you need to know what to look for and what to avoid. This page will give you several factors you can use to screen bankruptcy lawyers. Ready for your free consultation? Call us at (916) 596-1018 and start your path to debt relief. A good bankruptcy lawyer in Sacramento will be upfront and transparent with their fees. The bankruptcy lawyer will be able to tell you what your chapter 7 or chapter 13 bankruptcy will cost with a fair degree of accuracy. For instance, the lawyer will be upfront in quoting their fee and tell you that their fee is “x,” your debtor education courses will cost “y,” and the filing fee is “z.” If the lawyer only quotes you their fee and hides other expenses in the representation agreement, this should be a red flag. This attempt to hide anticipated costs means that the lawyer is not being candid about your total cost. With that said, it is perfectly normal for lawyers to include a separate hourly rate in their written contract for “extra” bankruptcy services that do not normally arise in chapter 7 or chapter 13 cases. This point dovetails with hidden fees. The right bankruptcy lawyer will be honest and frank with you during the initial consultation; in particular, with their fees. It is perfectly acceptable for you to ask a lawyer to itemize your total cost for filing bankruptcy, and the lawyer should be candid and frank in doing so. However, when it comes to the application of the law to your case, allow the lawyer the occasional “it depends” response as they do not yet have all the facts. An unprofessional bankruptcy lawyer will pressure you to hire them during your consultation. If the lawyer is pressuring you to sign a representation agreement, do not hire them. A Sacramento bankruptcy attorney will recognize that this is an important decision for you, and will not disrespect you by trying to bullying you into hiring them. A good bankruptcy lawyer will meet with you throughout the bankruptcy process. They will take an hour out of their day to meet with you and answer your questions. They will not abandon you after the initial consultation only to assign your case to staff. Therefore, ask the Sacramento bankruptcy lawyer if you will only be meeting with him or her once you hire the firm. If the lawyer is evasive on this issue you will probably be meeting with an assembly line of staffers rather than the attorney once you hire the firm. Proceed with caution.